2BR 2BA condo w/views of pool, ocean & beach just steps away & across from Publix shopping center. Close to local dining favorites. 2017 HVAC, MBR w/walk in closet. Stunning 4BR 3.5BA home w/upgrades galore. Over 1/2 acre of wooded landscaping. Open floor plan w/vaulted ceilings & elegant chef's kitchen. Large LR, screened lanai, inviting master suite. 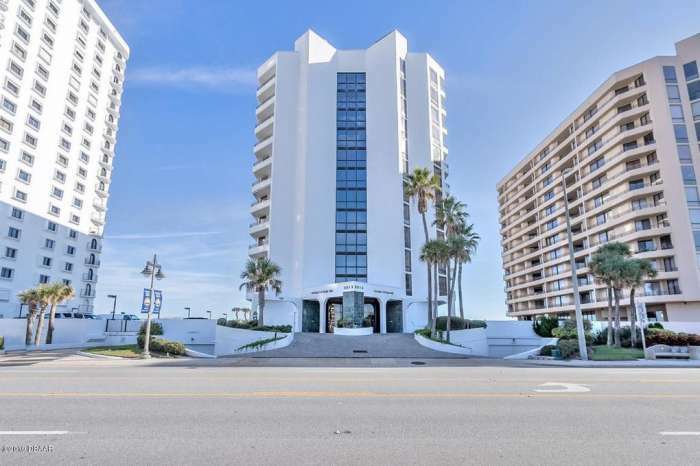 Exquisitely decorated 2BR 2BA turn key oceanfront condo. New HVAC, tile floors, granite vanities & counters, SS appliances & more. Estate home offers 5BR 4 full BA 2 half BA. Panoramic ocean views. 5000+ SFLA. Safe room, extensive use of tile & more. Fantastically located 3BR 2BA home only 1 block from no-drive beach. Newer AC & water heater, new soffits, amazing potential. Custom built 4BR 3BA home. Newer roof & water heater. New gas stove, pool enclosure & garage door. New refrigerator & washer/dryer. Tastefully updated 2BR 2BA home is open & bright. CA closets in both BRs, new hurricane windows, doors & garage door. New roof & AC.